And we are back again to the wonderful and relaxing Cape Cod. No, I’m not lucky enough to visit Cape Cod again, but I get to re-live some happy and tasty moments while writing this post. Skipper Restaurant (full and official name: The Skipper Restaurant and Chowder House) first opened in 1936 in South Yarmouth, and it had been around ever since, opened from April to October. 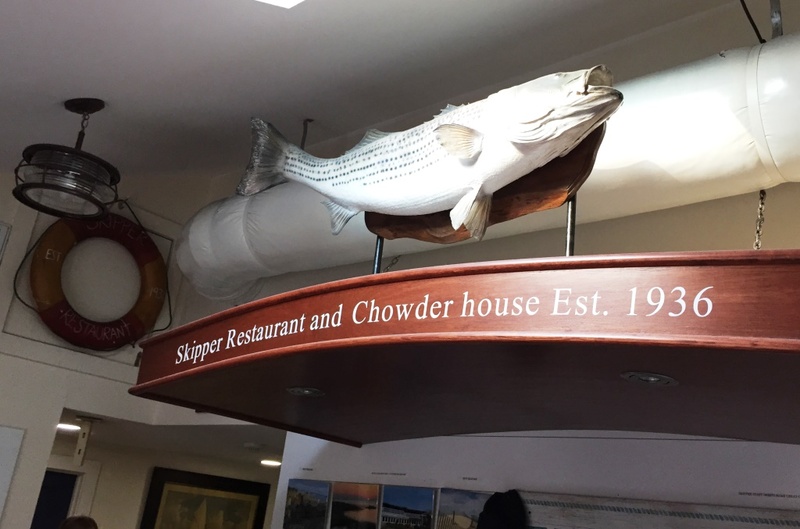 I’m not sure how we found The Skipper Restaurant last year – I guess by reading some of the online reviews, but I can tell you – when we were planning this year’s trip, visiting Skipper Restaurant was unquestionable, mandatory part of the Cape Cod vacation. Skipper Restaurant serves quintessential New England food. I’m using the word “quintessential”, which sounds big and imposing, but to me, there are few dishes which say, or better yet, scream “New England” – New England Clam Chowder, Baked Seafood, Fish and Chips and Lobster Roll would be my perfect list. You can find all these dishes at the Skipper Restaurant, and boy, are they tasty! It is not only seafood which is tasty at the Skipper Restaurant – they are also famous for the overabundant appetizer of onion rings – a very dangerous dish, as once you start eating those, you can’t stop! And the bread basket which shows up on the table first, belongs to the same “dangerous” category – I think we went through three of them before the main dishes arrived (and it was not because we had to wait for the long time 🙂 ). Each and every dish was excellent in its own right – fresh, succulent, flavorful and delicious – let’s leave it like that to avoid excessive drooling on your part. And of course, I have to mention the service, which was friendly, attentive and helpful – exactly what you need to make it for the great restaurant experience. If you plan to visit Skipper Restaurant (and if you are on the Cape Cod, I would say this is simply a must), just a bit of advice. The restaurant doesn’t accept the reservations, therefore you need to prepare to wait – but the experience worth the wait. If you are okay with an early dinner ( and considering the amount of food you will be offered, early dinner is a great idea), come to the restaurant at around 4:30 or 5 – your wait will be quite reasonable. Another “duh” advice – if you can, avoid Friday and Saturday nights – those are the busiest and your wait will be the longest. We are done here, my friends. 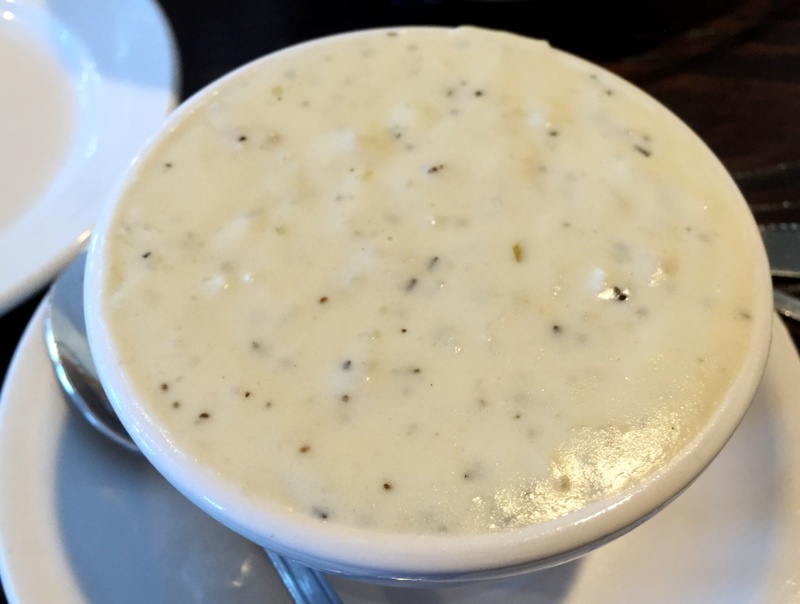 If you would like to experience quintessential New England cuisine, you don’t need to look further than Skipper Restaurant – I’m sure you will not be disappointed. Cheers! My pleasure Alan! Thank you for checking in and for the delicious food! It all looks pretty wonderful to me, Anatoli… would especially love to try their Clam Chowder – wow, triple crown champs! Great idea Anatoli, I’m all for it featuring on TDPC! Yum! Well, most of the places like that don’t have a good wine selection – this will not work for their clientele. I had some local beer, which was fine, but I don’t even remember the name and it was not something I felt I have to write about. There are also a couple of places in Amsterdam where the food is simple but delicious, and the wine abysmal. Unfortunately beer is not a solution for me.